Boca Raton is home to a multitude of businesses all of which can benefit from professionally installed business security systems. The city is known for its high rate of technology companies. That is further enhanced by the eleventh largest school district in the nation. Boca Raton is also home to several commercial hospital ventures, along with several resorts. All have a need for great business security systems. The largest employer in Boca Raton is the Palm Beach school board. The school board employees almost 22,000 professionally licensed teachers, principals and school administrators. The city is served by 18 public high schools. The highest rated schools in the city are the Boca Raton Community High School, the Spanish River Community High School, A.D. Henderson University School and West Boca Raton High School. These schools can benefit greatly from business security systems which can be used to monitor students and teachers in the classroom. Just like any business, the school can monitor a classroom without actually being in the classroom. 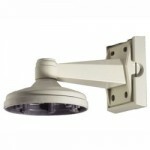 The school district can utilize dome style cameras that will hardly be noticed by students and teachers for this purpose. Another outstanding use for business security systems is the monitoring of facilities that are only used at certain times. For instance, the school district athletic facilities may be monitored from a remote location. If these cameras are placed outside, then the camera needs to be weatherproof, especially against the salt water that seems to penetrate everything in Boca Raton. If your business is like the school district, then talk to a professional installer about how to monitor systems from remote locations. Also discuss with a professional about what cameras will work best in the unique climate of Boca Raton. The second largest employer in Boca Raton is the Palm Beach County Government. The county employees close to 11,500 people. These employees can have a safer work environment when business security systems are in place. The business security system will protect the government’s property and employees. The system will easily pay for itself many times over. The presence of a business security system is an outstanding way to deter theft and internal fraud. The presence of a business security system also discourages workplace violence and false accident claims by both employees and visitors to properties owned by the country. Of course, just like the school, the Palm Beach County Government can use business security systems to monitor remote locations where employees are not always present. Some government offices offer only access to certain individuals. A point, tilt and zoom camera is a great way to see who is trying to gain access to an area. A business security system is taxpayer’s money that is well spent when a professional designs the system. The third largest employer in Boca Raton is Tenet Healthcare Corporation. Tenet Healthcare Corporation employees close to 5,250 people. They are the company behind outstanding medical facilities in Boca Raton such as West Boca Medical Center, Good Samaritan and Pinecrest Rehabilitation Center. Each of these facilities relies on great business security systems to provide a safe environment for their staff, patients and visitors. They use security cameras to help prevent crimes and break-ins. The cameras allow staff to watch for mentally ill patients. The cameras can also be used to identify staff that need in restricted areas. Numerous studies have proved that when a security system is in place, workers are more productive. Studies have also proved that the presence of business security systems also prevents the filing of dishonest insurance claims saving the business thousands of dollars each year. Security systems also allow employee disputes to be resolved faster. This assures that great employees are happier at work. The presence of a security camera provides visual evidence for investigations. of any security system they are choosing to buy. Employers will also want to consider how these systems will be monitored. The fifth largest employee in Boca Raton is Florida Atlantic University. This employer has a staff of 4,000. We have all been shocked at the recent spree of shootings on college campuses throughout the world. Many colleges have now instituted new looks at their campus security. Grant money is available to upgrade these systems under the Emergency Management for Higher Education grant program. According to the United States Department of Education campus security should be comprehensive, progressive, integrated, collaborative, coordinated and flexible. It is these same principles that should guide all business security systems. First, the business security system should be comprehensive. 80 percent of all security problems come from inside an organization. Therefore, it is best to work with a professional security system. The professional will help you put together a program that will protect everything. It is important that the system focus on the mechanical elements of your business. The professional will help you determine the needs for access control, closed caption televisions, door locks and monitoring systems including alarms. The professional will also help you look at your operational organization. They will help you determine job policies for those working with your security system. The professional will also help you choose the best system for your business. Secondly, the business security system must be progressive. The professional will help the business owner plan for tomorrow. They will help you build a business security system that is disaster resistant. They will also help you plan a system that is disaster resilient. Thirdly, the business security system must be driven by known risks and be constantly on the outlook for new risks. This process must follow a three step plan. First, hazards must be identified. Secondly, risks must be analyzed to determine which ones are most important to focus on. Money is tight for any business. The plan must identify which hazards are most likely to occur and how to solve those problems in a cost-effective method. Third, after implication the results of the program must be analyzed and the program tweaked. Fourth, the program must be integrated. All components of a great business security system must work together. The business owner must be able to state clearly why each part of the system is there. When the business owner is able to do this, the cost of each component is clearly understood. Each part of the system must serve a purpose or several purposes that are clearly identified. The system is only as great as the people operating the system. Employees must understand all components of a business security system. When the employees understand the system they will not feel threatened by the system. Instead, they will welcome the system based on the benefits that it will provide them. The main key is to be open with all communication. If an employee asks a question, then be prepared to give them an answer that will answer their question in language that the employee can understand. The system must be coordinated. The purpose of any business security system is to lower the cost for the business, thus making the business more money. The cities authorities must understand how your system operates. The professional business security system coordinator should be proficient at working with the current officials and laws to assure the best solutions in security for your business. The business security system must be flexible. Any business owner can tell you that they are constantly facing new challenges. The security system must be flexible to overcome these new challenges. It must easily grow as the business grows. The last thing that a business security system must be is a professional system. Unfortunately, too many business owners try to put together their own systems. These systems are usually not successful. Professionals in the field understand the science of building a great system. This science is constantly changing. It is a full time job to keep up with the changes in equipment and changes in the law. It is time that most business owners do not have. Leave it to a professional and focus on what you do best. Business security systems are integral for the success of any business, large or small. Allow professionals to design your system with your needs today and tomorrow in mind. This will assure that your property; your employees and your customers or clients stay well protected. Make your plans today and contact us.